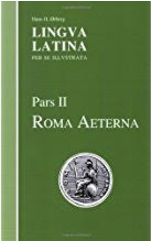 Does anyone out there have an old copy of Rōma Aeterna that they are willing to part with? A fellow LLPSI user needs a copy of the old edition (see image below). It must be the edition shown below with the ISBN 978-1-58510-314-0. Thanks!